With temperatures skyrocketing as summer sets in, wildfires are once again destroying thousands of acres of land. The Post reported that investigators are still searching for the initial cause of the fire. 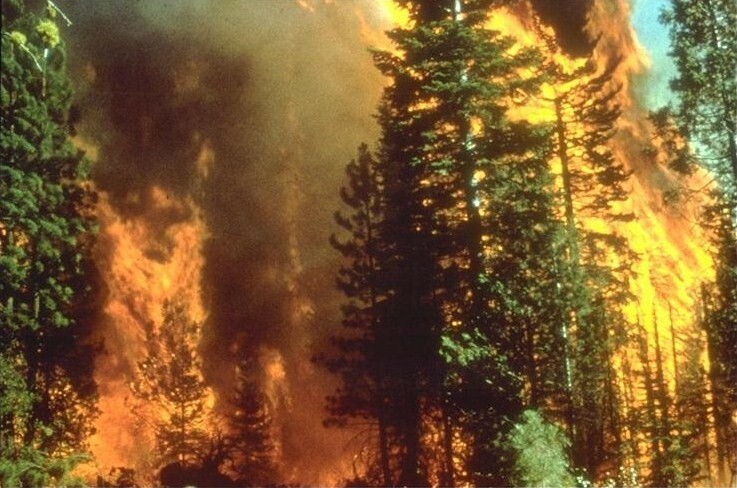 The space between human residences and forests is quickly disappearing, which is one of the reasons wildfires have become serious threats to human life. In Texas, wildfires have destroyed 2.2 million acres and more than four hundred homes this year, according to the Texas Forest Service. In the eastern part of our own home state, North Carolina, wildfires have raged across 21,000 acres, causing poor air quality as far west as the Raleigh/Durham area. ‘Tis the season for wildfires. With summer on the horizon, heat indexes will soar and so will the threat of fire. The problem is, these areas that are affected by wildfires, while less populated than urban areas, are not exactly wild. People do live in these areas, and have for years. In the last century, the battle between human and fire has become more and more prevalent as our population grows. Humans can live in harmony with this, one of nature’s threats, but that would mean making compromises. But are we willing to change our lifestyles in order to remain safe? We are not a species that likes to settle. But we have to accept that the world is getting smaller by the minute, and we have to make certain sacrifices—like where we live, and how we life—in order to keep threats such as wildfires from becoming disasters. 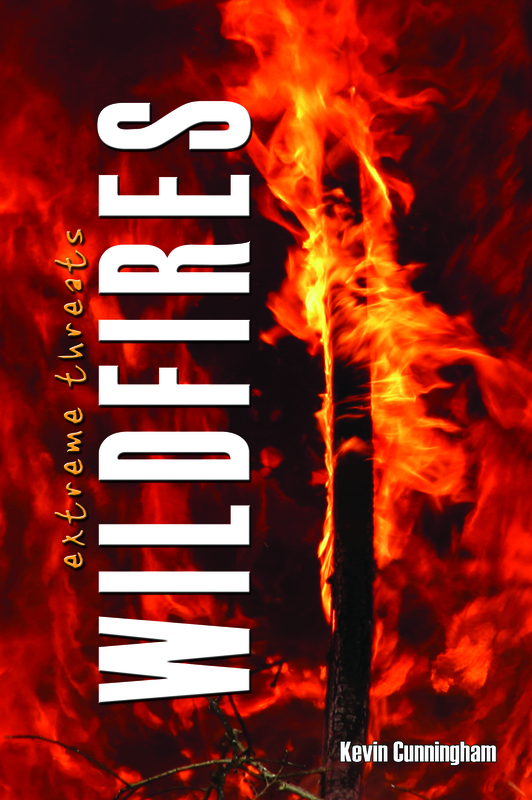 For more information about wildfires and prevention, please check out Extreme Threats: Wildfires (ISBN: 978-1-59935-120-9). Check out the rest of the series too!